Prosecutors in Cook County, Illinois have dropped all charges against “Empire” star Jussie Smollett. On March 14, Smollett was indicted by a grand jury on 16 felony counts of disorderly conduct for filing a false report. He pled not guilty. Smollett was summoned to an emergency court hearing at 10:30 a.m. on Tuesday where State Attorney Kim Foxx told him that all charges against him had been dropped and his record expunged. Smollett forfeited his bond and the judge also granted a motion to seal the case from the public. Smollett claimed in January that he was physically and verbally attacked by two men in an alleged homophobic and racist attack. After Chicago police began investigating the case, they claimed that Smollett orchestrated the attack because he was dissatified with his salary. Police said Smollett paid $3,500 to brothers Olabinjo (“Ola”) and Abimbola (“Abel”) Osundairo to fake the attack. Police also claimed that Smollett had sent a threatening homophobic and racist letter to himself at the studio where “Empire” is filmed. Smollett did write a check to the brothers for $3,500 but it was determined to be for physical training. The letter is also still under investigation by the FBI. Fox had “no comment” on the latest developments but the “Empire” writers showed their support on Twitter. Smollett’s character Jamal Lyon was cut from the final two episodes of the season due to Smollett’s legal troubles. 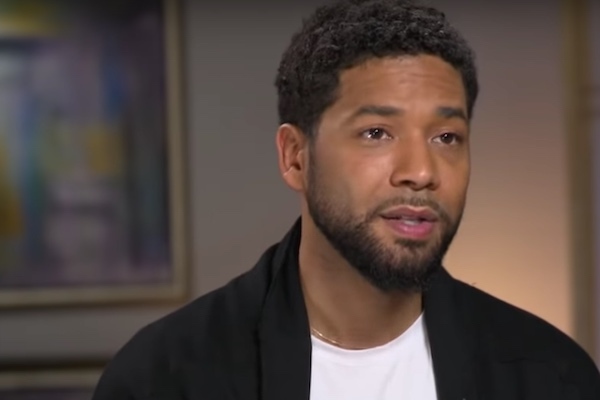 Smollett spoke publicly about the case for the first time since his “Good Morning America” appearance shortly after his charges were dropped.